Understorey palm. Acaulescent, or with a short solitary stem. Leaf blade 50-85 cm long, regularly divided; pinnae to 25 on each side, 2-3 cm wide, sigmoid, dark green, each with a prominent midrib and two distinct submarginal veins. Inflorescence unbranched; peduncle 30-50 cm long; spike 15-25 cm long and 5-8 mm in diameter, with densely positioned flower pits ca. 1 mm apart. Female flowers with staminodes partially free, spreading at anthesis. W Amazon region in Colombia, Ecuador, Peru, and Brazil, below 700 m elevation. 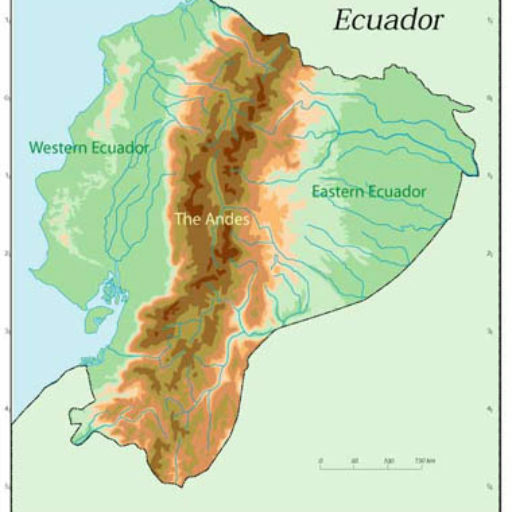 In Ecuador it occurs on terra firme in the eastern lowlands. 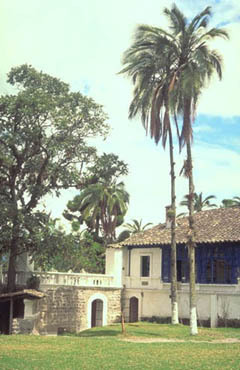 Related to Geonoma macrostachys. 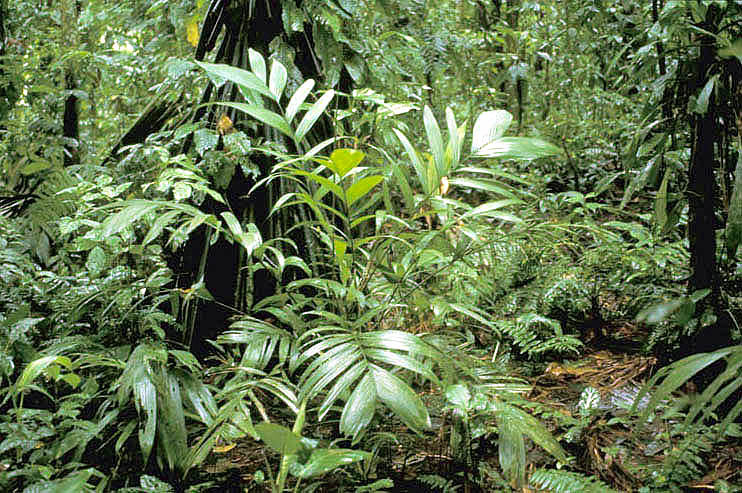 In other parts of its range, plants of this species may develop a tall stem (Henderson et al., 1995), but this has not been observed in Ecuador.